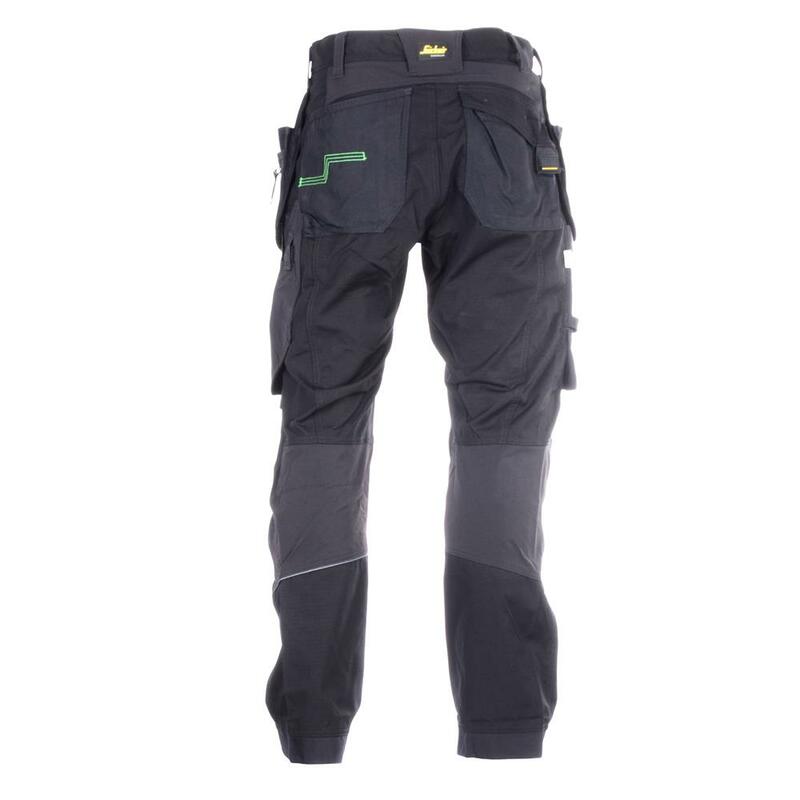 FlexiWork Work Trousers takes working comfort and flexibility to the Max. 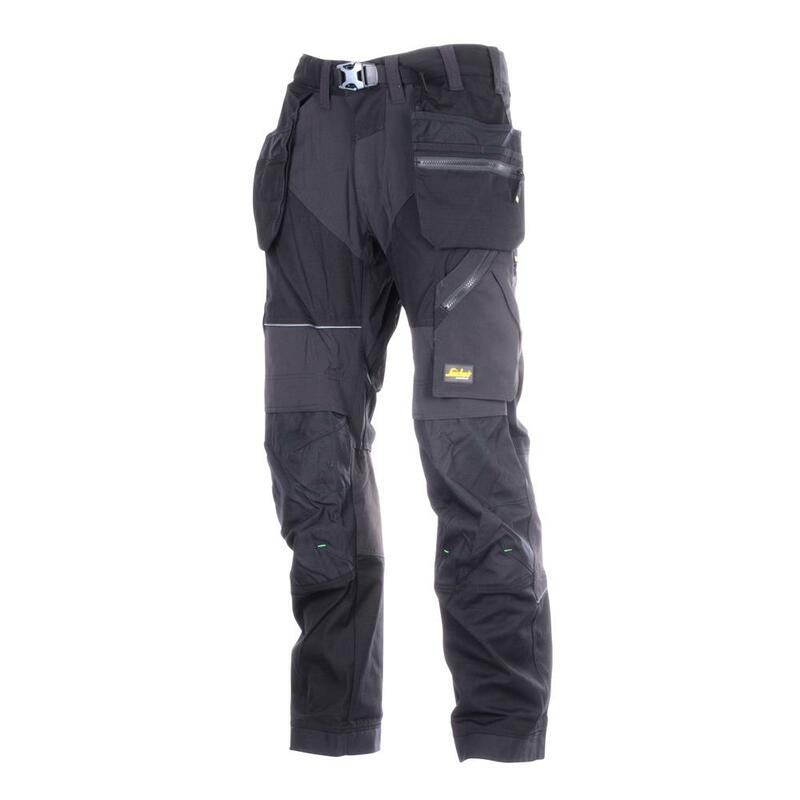 Super-light work trousers with high-tech body-mapped design with super-light ventilating stretch fabric with Cordura® reinforcements and holster pockets and true pre-bent legs for extreme comfort and freedom of movement. 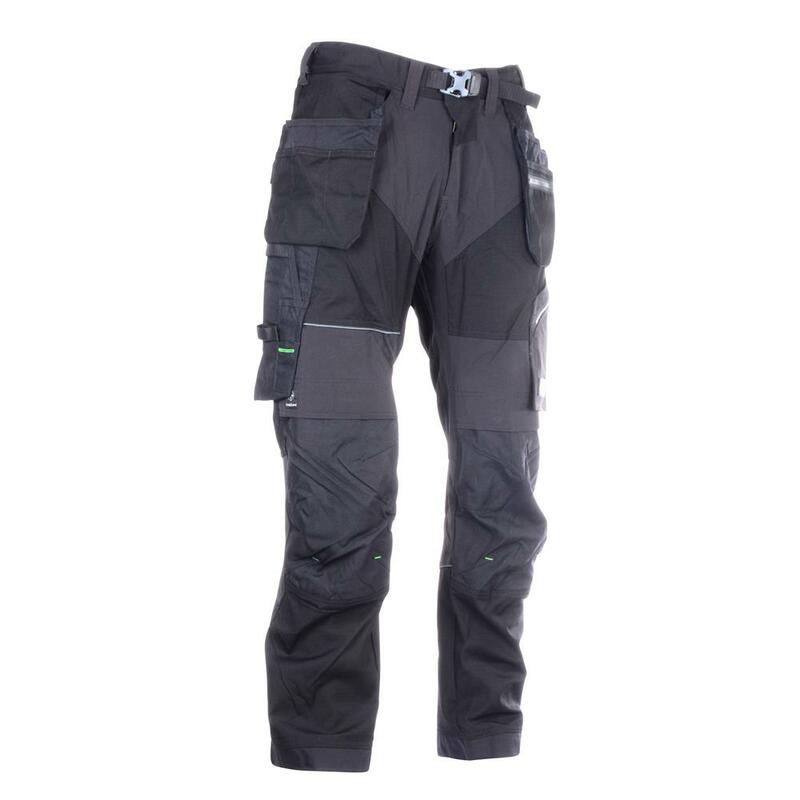 Advanced KneeGuard with stretch fabric above knees, keeping kneepads in the optimum position with every move for superior comfort and protection. 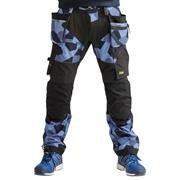 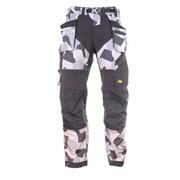 Tough Cordura® reinforcements at the knees, leg ends & pockets, including the holster pockets, for enhanced durability. 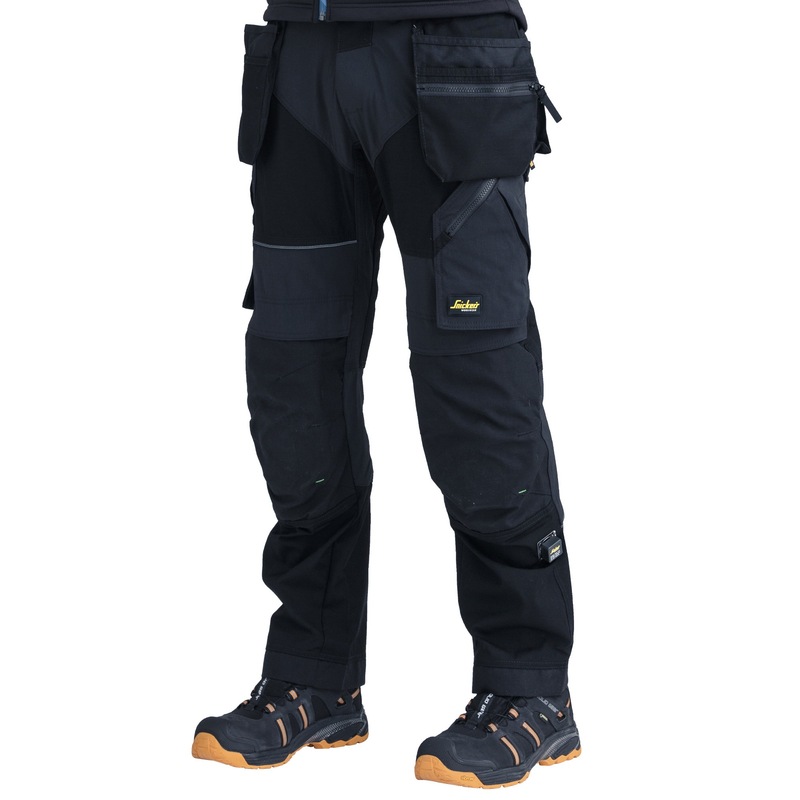 Easy—to-access holster pockets with zipped compartment, leg pockets including knife fastener, mobile phone compartment and detachable ID-badge holder. 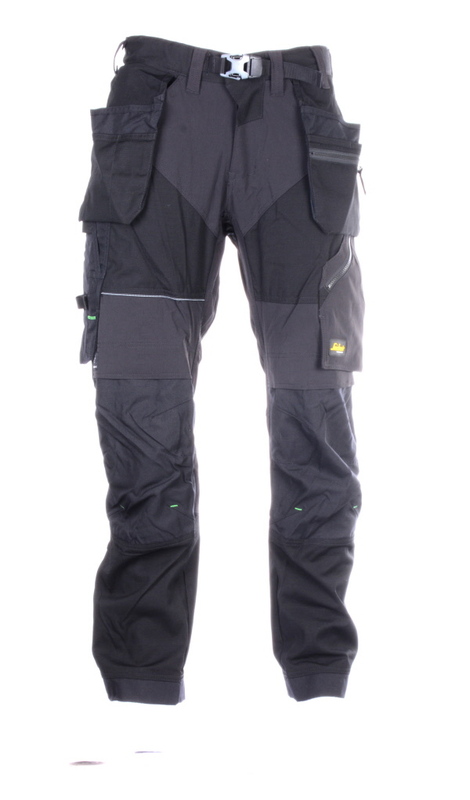 Integrated but detachable hardwearing belt with easy-to-close durable Polyamide buckle for superior waist fit and comfort.